This will be the spot where questions may be posted for our December Guest Star, Scott O'Brien, beginning on Monday, December 6th through Saturday, December 11th. Please see this announcement for details about Scott's visit and his new biography, Ann Harding - Cinema's Gallant Lady (BearManor). This thread is now open. Please feel free to post your queries and comments about Scott's book or related topics in this thread. Since this is a particularly busy time of year, your patience in waiting for responses is appreciated. Like almost all of us, Mr. O'Brien has a busy schedule and has been kind enough to offer to share his interest and knowledge with us. Hello Mr O'Brien! I haven't had yet a chance to read the biography of my namesake, Ann Harding. Being a great fan of this actress, I have tried to see as many of her films as possible. I was struck by the number of badly directed pictures she had to play in. Mr Beaumont and Mr E.H. Griffith being some of the worst hacks she had to endure. Why do think RKO-Pathé kept casting her with those directors? Had they no ambition for their star? She was lucky enough to make some good features with Hathaway, Garnett, Ruggles and Wellman, but I can't help feeling her talent has been wasted in many ways. In the various interviews and quotes I read about her, she appears to be completely natural and as un-hollywoodian as possible. Was it something that the moguls didn't like about her? Thanks Mr O'Brien for your time. Last edited by Ann Harding on December 6th, 2010, 10:31 am, edited 1 time in total. Welcome to the SSO boards. Mr. O'Brien. It's nice to have you here. I'll get the ball rolling with a few questions about the wonderful Kay Francis. Her birth year has been in speculation for some time, with sources stating the year as anywhere between 1899-1908. When was she actually born. 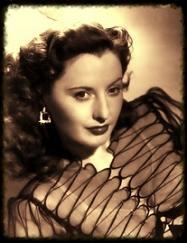 Is it true that because of a speech impediment, she was known around the Paramount lot as "the wavishing Kay Fwancis." and that she left most of her $1 million estate to train dogs at Seeing Eye, Inc. ? ties wore on and newer actresses were coming on the scene? Thanxx so much for your time here at the Oasis. I'm currently reading (devouring really) your wonderfully written Bio on the great Ann Harding, which enticed me to watch yet one more time one of my very favorites: "Peter Ibbetson" (1935). I'm in the part of the book where the process of her divorce from Harry Bannister is being depicted and I'm totally impressed & pleased by your skill and in-depth analysis of her life and career. I expect to finish the book soon. I liked so much your writing style on this book, that I've ordered your Bios on Virginia Bruce and Kay Francis (of whom I had read another Bio, which I did not enjoy so much). Looking foward to reading both of them! Ms. Harding comes off as a totally likable, unassuming, down-to-earth, intelligent, talented, a-typical actress, star and woman. I've always admired her as an actress, especially her naturalness and her sincere & unaffected performances, but now I like and admire her as a human being. A very unique woman. Thanks for rediscovering and "recovering" her for us all. Do you have any plans to write another Bio on another actor or actress from the '30s? -One of the most glorious decades of the Silver Screen-! Hello Ann … and thanks for the good question. And, thanks to Moira and Silver Screen Oasis for allowing me to get in “Double Harness” with Ms. Harding for this week-long session. Director E.H. Griffith was certainly “prolific”—not exactly a visionary when it came to cinematic art. Even so, Ann was comfortable with Griffith and preferred working with him. At one point she was determined to do Hemingway’s The Sun Also Rises. Ann bought out the screen rights from RKO and teamed with Griffith to find a studio and producer (MGM – Thalberg), but Joseph Breen (PCA) bristled at the idea and quashed any possibility of it being filmed. “It is the story of a nymphomaniac in love with a drunken newspaper man,” Breen fumed. Under Tay Garnett’s direction, Ann made the imperialist driven and racist concoction Prestige. Ann was horrified by the end result and offered to buy the negative from RKO and have it destroyed. 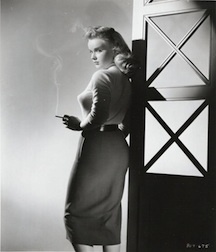 Garnett was upset with Ann’s attitude and left Hollywood for some time-out in New York. When he returned to Hollywood, he helmed of the wonderful Kay Francis-William Powell feature One Way Passage—from the ridiculous to the sublime. Although Henry Hathaway (Peter Ibbetson) called Ann an “absolute b****,” whatever fueled their relationship worked. Ibbetson has some of Ann’s best work. The problem for Ann at RKO was finding suitable stories that would not only challenge, but utilize her remarkable, as you say, “completely natural” persona. While at RKO, Ann was known for agreeing to do a story and then backing out of the project at the last minute—after thousands of dollars had been invested. This did not set well with producers. 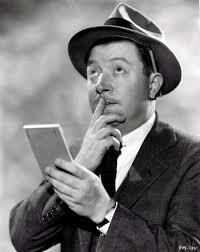 Hi Joseph … nice to see a question about the fabulous Kay Francis. I had the generous support of actress Jetti Preminger Ames while researching Kay. Jetti was in the cast of Windy Hill (directed by Ruth Chatterton) in which Kay starred and toured during 1945-46. Jetti became a life-long friend of Kay’s. Jetti's two sons, Jonathan and Tabor, were Kay’s godsons. I asked Jetti about the controversy surrounding Kay’s birth date. “Kay was born in 1905,” Jetti emphasized. “She had no reason to lie to me.” The 1905 date was verified in the 1910 census. Kay was residing at New Jersey’s Institute of Holy Angels at Fort Lee and was listed as “Katharine E. Gibbs, age 5.” When I contacted Henry Francis, son of Kay’s first husband, Dwight Francis, Henry forwarded me a family photo of Kay taken in 1921. On the back of the photo her age was listed as 16. I found no original source for the “wavishing Kay Fwancis.” I think her lisp is somewhat overplayed among film fans. I only noticed it in two films, Jewel Robbery and Give Me Your Heart. Kay worked diligently to pronounce those pesky “R’s.” The best thing about her impediment was her ability to laugh at herself. Have you seen that delightful scene with Kay and George Brent in Borzage’s Living On Velvet? Kay pokes fun at her r-less self while she and Brent ride atop a double-decker bus. She steals your heart in the process. For Theresa – I agree, as fascinating as Norma and Irene were, Ann's “delicate” touch was grounded in repertory theatre. Ann Harding was never about “being a star.” Ann Harding was all about creating an ensemble experience for audiences—to transport them into the lives and stories of other human beings. The British-made Love From a Stranger (1937) offered Ann a meaty opportunity to register desperation, fear, anger and revenge when confronted with the psychotic machinations of husband Basil Rathbone. You are right about those last 10 minutes. Ann and Basil take your breath away—the suspense is tangible. After filming … Stranger, Ann toured England in Shaw’s Candida. In mid-tour she married conductor Werner Janssen. (Yes, he was also married at the time). Ann had had enough of Hollywood. She was not impressed with the publicity game, nor the notoriety of “celebrity” she had experienced there. She went into semi-retirement for a few years. Ann was seemingly content to live with what she referred to as her “genius” husband and be a conductor’s wife. “His work is of much more importance than mine,” she cooed. Well, Ann …. I disagree. Ann’s favorite leading man was definitely Leslie Howard. “What a craftsman!” Ann declared. “He’s an absolute challenge, with his perfect timing, and the way he sustains everything and throws the ball right back every time. I think he’s the finest actor we have.” Ann made this statement in 1936, after leaving RKO. You can watch the Harding-Howard teamwork in Devotion (1931) and Animal Kingdom (1932). The Man in the Gray Flannel Suit. Ah, the life of the corporate rich! If you’re in the mood for an excellent documentary on the subject, check out the excellent Canadian (2006) The Corporation. As far as Ann’s re-teaming with Fredric March in 1956, I had hoped to get some response to your question from Gigi Perreau, who played their spoiled daughter on screen. Perreau wrote me a nice message last year saying she would gladly get back to me to talk about the film. I wrote back several times, but never heard from Perreau again. The role of the long-suffering upper-crust wife was earmarked with “nostalgia” for Ann and those fans who remembered her “suffering” on screen during the 1930’s. Hello Feaito – Well, we’re on the same page as far as Peter Ibbetson. That is the film which sold me on Ann Harding. As one film critic observed, Ann’s performance in Ibbetson was a “complete and attractive revelation of her art.” The film was also among the favorites of filmmaker Luis Bunuel, who placed it among the ten greatest films ever made. I’ll have to admit, had they been alive, Ann Harding and Kay Francis would never have cooperated with me in writing their biography. They would have told me “where to go” and stay there. Ann demanded privacy (I don’t blame her after the public devoured the unrelenting publicity surrounding her and Bannister’s divorce battle—which went on for years). Kay was very bitter about how she had been treated in Hollywood. Virginia Bruce, would have been more cooperative and forthcoming. I’m currently working on a biography of my mother (for the family). She was an academic English teacher in Sonoma County, California. She’s the one who got me addicted on classic Hollywood. I do have plans to write another film biography, but I need a break! OScott wrote: Under Tay Garnett’s direction, Ann made the imperialist driven and racist concoction Prestige. Ann was horrified by the end result and offered to buy the negative from RKO and have it destroyed. Garnett was upset with Ann’s attitude and left Hollywood for some time-out in New York. When he returned to Hollywood, he helmed of the wonderful Kay Francis-William Powell feature One Way Passage—from the ridiculous to the sublime. Thanks for your reply, Mr O'Brien. This is fascinating information. I completely agree with Ann H. regarding Prestige's racism. But, the film is well directed with some breathtaking tracking shots and excellent performances from the lead actors. In France, Ann Harding is the actress of only one film: Peter Ibbetson. Ado Kyrou's famous book waxes lyrical about her. This is how I discovered her in a small derelict cinema where the film was playing, 20 years ago. It's a great memory to this day. I'll have to get hold of your book. Today I read the part of the book where Ann, her secretary and Alexander Kirkland survived from their boat accident. I was really stunned about what they had to endure and their miraculous survival. For Ann – I agree that the camerawork (Andriot) and performances in Prestige were excellent. The talented black actor Clarence Muse (who played Nham), the only real hero in the film, asked Ann to participate in a Christmas 1932 fund-raiser for poor black families. It is quite likely that Muse and famous trial lawyer Clarence Darrow were the ones who influenced Ann to join the NAACP in 1934. Ann was in attendance for the organization’s “Anti-Lynch” Benefit in June 1935. In 1926, while Ann was in charge of the Garrick Theatre’s summer season in Detroit, she attended the racially-charged murder trials of African-American doctor Ossian Sweet. One reporter noted that after listening to Clarence Darrow’s closing argument, which became a landmark in the Civil Rights movement, and the “Not guilty” verdict which followed, “Ann Harding, the actress, leaped out of her chair and threw her arms around Darrow.” Darrow argued that Sweet and his family were within their rights to defend themselves from an angry mob. Peter Ibbetson is understandably a real favorite of surrealists such as filmmaker/writer Kyrou. Ann … I was hoping you would tune-in for this Silver Screen Oasis. Thanks for your questions and response. For Feaito – Ann surrounded by sharks in mid-ocean was a fascinating and unexpected episode to research and piece together for her biography. Her affair with screenwriter Gene Fowler must have been well worth it. I can understand her attraction. Fowler was a witty, bright (and handsome) talent. In 1932 Fowler wrote, “At my age—and with my liver, immorality is a luxury … I like to write about immoral guys and after all, if I’m writing about them I like to get the proper atmosphere.” Fortunately, it was Fowler’s wits (along with his bank account) that paid off the Cuban government in order to keep Ann out of a real scandal. Devotion (1931) was the first film I saw starring Ann. You’re absolutely right about the charms achieved in this “little film.” Critics remarked how the “tempo” and “genuine emotion” of its stars established them as “perfect teammates.” I was pleased when this film was released on Video some years ago. Thanks for your interest in the Kay and Virginia biographies. I hope you enjoy them as well. Thanks again for taking the time to answer our questions and for your very valuable feedback. I'm sure I'll enjoy your Bios on Kay Francis and Virginia Bruce as I'm enjoying Ann Harding's Bio. Hi Scott. It's great to have you here. I have to admit that I've only seen a few of Ann Harding's movies, namely Prestige, The Male Animal, Double Harness, and The Conquerers. I didn't "get" her at first, but thanks to a second viewing of Double Harness, I began to appreciate her genius. I see that Mick LaSalle wrote the forward to your book. I read with great interest his "Complicated Women" a few years back and I have been a big pre-code fan ever since. In it, he discusses the aftermath of the code and the effect it had on certain actresses' careers, but I must have loaned my copy to someone and can't remember exactly what he reported. As a case in point, take Miriam Hopkins. I love her in the pre-codes. But I have two later films, namely Woman Chases Man (1937) and Wise Girl (1937), that are just horrible. I almost got the feeling that the studio was making her "pay" for all that delicious wickedness that she brought to the screen a few years back. I admit this is all rather vague and unsubstantiated, but perhaps you can shed some light on it. I guess my question is, was there such a backlash against particular actresses, a more heavy-handed, targeted scrutiny of their work, after the code? And, more to the point of this particular forum, against Ms. Harding?